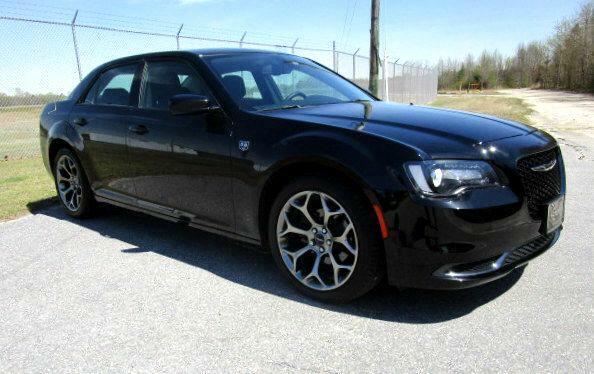 Used 2018 Chrysler 300 Touring for Sale in Tarboro NC 27886 S & J Auto Sales, Inc.
All Wheel ABS, One Owner, CarFax Certified Accident Free, Fully Seviced and Well Maintained. Classic American styling meets traditional rear-wheel drive in this beautiful Chrysler 300 Sedan. Reviews of this car report '' Mature yet athletic in nature, the 300 demonstrates that big cars can handle well, without lacking ride comfort.'' As S & J Auto Sales Inc. continues to expand and evolve, the one guiding principle that has remained steadfast along the way is the goal of satisfying each and every customer. Since our beginning, and for more than 46 years, our corporate mission statement as remained the same. That is: To make it easy for our guests to purchase an EXTRA NICE product at a fair price, from people devoted to quality service.